A factory with the capacity to build 40,000 electric vehicle charging stations annually has opened just north of Toronto. 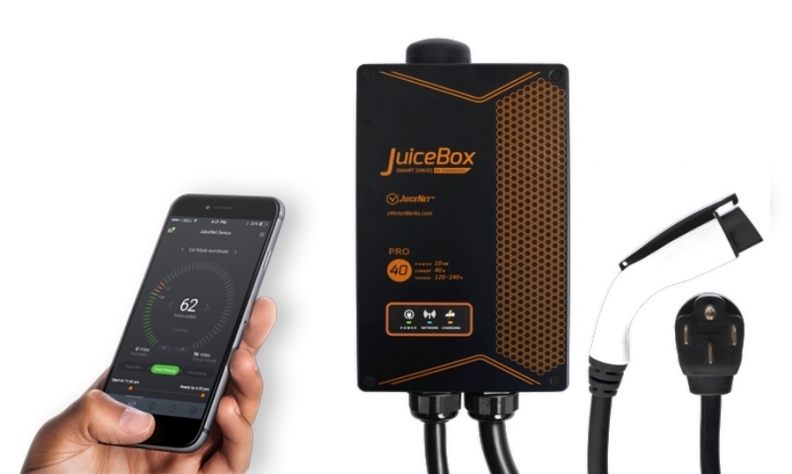 Autochargers.ca said it plans to hire 100 people during the next three years to build and distribute JuiceBox charging stations for eMotorWerks. The two companies didn’t say how many chargers the new factory will initially build. Autochargers.ca has a variety of customers, including Hyundai, Mercedes-Benz, Volkswagen, Honda and Mitsubishi. The JuiceBox stations will be for home and public use. Autochargers.ca CEO Gleb Nikiforov said Ontario’s centralized location in North America makes it a perfect spot to scale up production. The factory will supply Canada and potentially the United States, said Ontario Minister of International Trade Michael Chan, who was on hand for the factory’s opening Friday. eMotorWerks has at least five utility contracts in U.S., mostly in California. It also distributes its products through Walmart and Amazon.